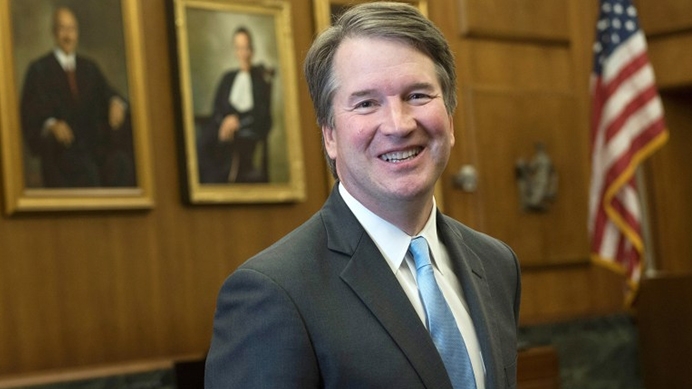 Judge Brett Kavanaugh is President Trump's nominee to fill the Supreme Court vacancy left by Justice Anthony Kennedy's retirement. Two weeks ago, with the retirement of Justice Anthony Kennedy, the tectonic plates of the U.S. abortion debate in the Supreme Court shifted for the first time in decades. Since the announcement, speculation has run rampant about what this could mean for the future of abortion as we know it, as the loss of Kennedy—the major swing vote on abortion—upsets the Court’s decades-long pro-choice majority. Monday night, the plates shifted again as President Trump announced his nominee, Judge Brett Kavanaugh, a D.C. Circuit Court judge with a judicial record friendly to the pro-life cause. His credentials certainly bode well for pregnancy help organizations, which—just two days before Kennedy announced his retirement—won big in NIFLA v. Becerra, a decision which overturned California’s onerous Reproductive FACT Act for violating their First Amendment free speech rights. Judge Kavanaugh, a Catholic, a husband, and a father of two young girls, is said to be a defender of religious liberty, having sided with Priests for Life in their lawsuit against the Obama Administration’s contraception mandate. As the battle for the Court begins and Roe hangs in the balance, Heartbeat International—a worldwide network of more than 2,500 pregnancy help organizations—says its mission persists, perhaps stronger now than ever. To Godsey’s point, this week a New York Times story profiled the difficult experiences of women who procured abortions from around the world, even in countries where the practice is largely prohibited. The stories demonstrate the continued need for pregnancy help organizations, even after abortion is restricted. Although a number of recent polls indicate that Americans support Roe v. Wade, other polls indicate that Americans do not know much about the decision. According to a 2013 Pew Research Center Poll, only 62 percent of Americans know the decision had to do with abortion. Additionally, according to a Gallup poll released last month, only a very small minority of Americans (13 percent) actually support legalized abortion through all nine months of pregnancy, which Roe made possible. But the 2016 election cycle sheds some light on where the public stands with regards to the Supreme Court. Indeed, exit polling from Election Day found that one in five voters identified the Supreme Court vacancy as their most important issue. Those voters overwhelmingly supported Donald Trump (57 percent to 41 percent) who promised to nominate only pro-life Supreme Court justices. Since Roe v. Wade was decided in 1973, approximately 60 million children have been aborted in the United States, with nearly 1 million occurring in 2014, the most recent year on record. With more than 2,750 pregnancy help organizations located across the U.S., Godsey says the pregnancy help community is perfectly positioned to reach the many mothers who may still be considering abortion in the future.